Herein lies the most basic forms of what I consider to be the most essential advice, tips, and tricks. Accompanying each piece of advice is a link to more detailed content so that you may explore further at your discretion. The information is mostly presented in the order I believe you need to read it, but still consider reading all the way through before acting on any tips. Some of the more advanced advice starts about halfway through the article. 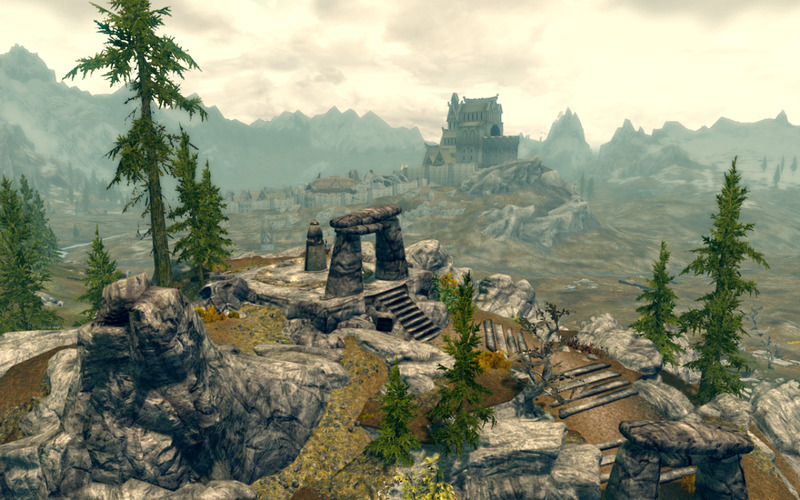 While choosing a race in Skyrim, the first permanent step of any play-through, you ought to consider the intrinsic perks of each race. This can be a bit difficult if you're not playing as a role-player who seeks to stick to specific skills. Luckily for you in-it-to-win-it-all types, I'm going to save you some time, and inform you of the fact that destruction magic tears through you like a hydrogen bomb through literally anything, because there's no good way to defend against its fiery wrath (literally); that is, except for magic resistance, of which the Breton provides a whopping 25 percent. Did I mention it's difficult and expensive to acquire magic resistance? This makes the Breton a no-brainer for best race-related gains. If you had another race in mind, you can read my analysis on each race, found here. 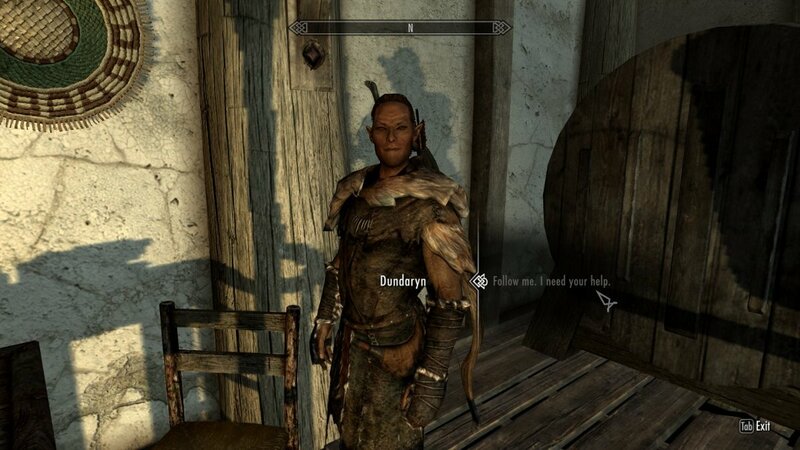 Now that you've chosen a race, you ought to consider your character. Will you be a mage, a thief, warrior, or something else? Whichever character-type you may choose, always consider the fact that some enemies are leveled, and others are beyond your capabilities at lower levels. At least at the beginning, think about which abilities work well together, and work at advancing those perks and skills exclusively. I personally start as a sneak-archer for my completionist games, because I can easily train archery and sneak, and those two skills work extremely well together; it's easy to pull off sneak attacks when you don't need to get close. It may make sense from a circumstance-oriented point of view to diversify perk-points and abilities, but being just decent at a variety of things will not help you when you need to deal with a leveled enemy that requires a massive amount of damage to defeat. At first, always think about prioritizing for synergy. I remember when I first started Oblivion, I would pick up garbage like plates and forks and forget to remove them for a long time. 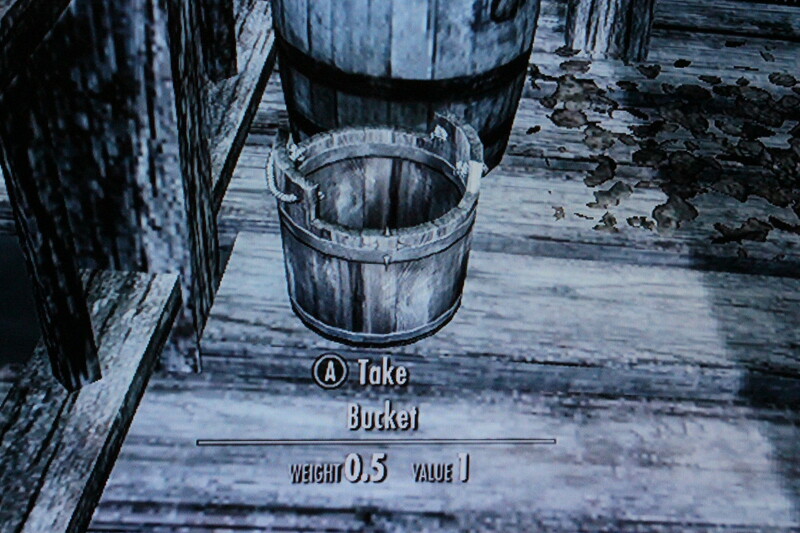 After a while, I would become over-encumbered and have to drop things. Do yourself a favor and only pick up items of monetary value or usefulness. Remember that you do not always want to pick up the item with the best selling price. Pick up the item with the best price per weight. For instance, pick up every potion you find because while some of them may sell for very little, they can also be very light, allowing you to carry many of them. It's a trap! Don't take it! 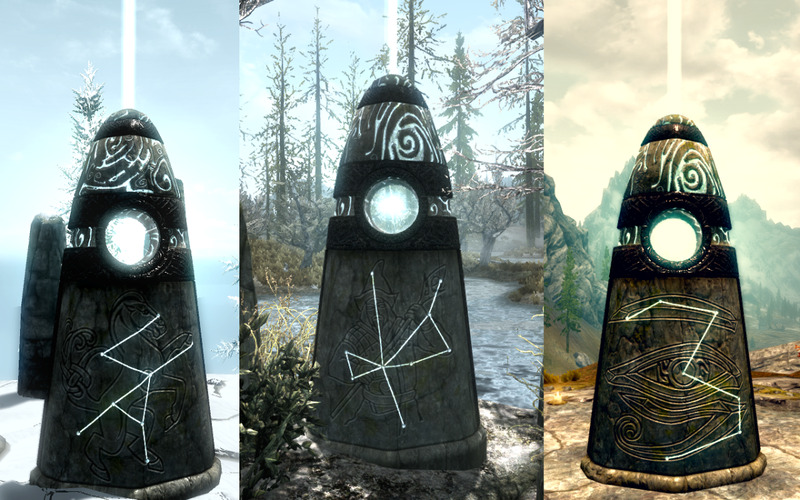 Standing stones are stones that when activated garner perks to the player. Only one stone can be activated at a time. Furthermore, the stones must be located. 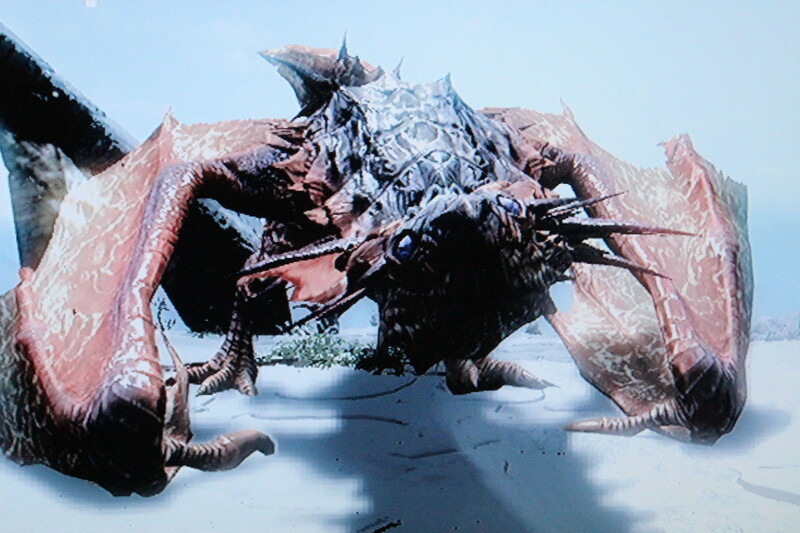 After you are set loose from the opening dragon chase, head northwest. You should eventually see an image in your cross-hair resembling a standing stone, as depicted by the accompanying image. You will come upon three standing stones, each allowing a twenty percent bonus in experience when certain skills are used. They are classified according to the chart bellow and will increase experience gained in those individual skills. This is The Thief Stone. I suggest that if you have a focus character, pick the stone that fits it best. Otherwise, I suggest taking the mage stone, because magic skills such as destruction and restoration are difficult to increase. 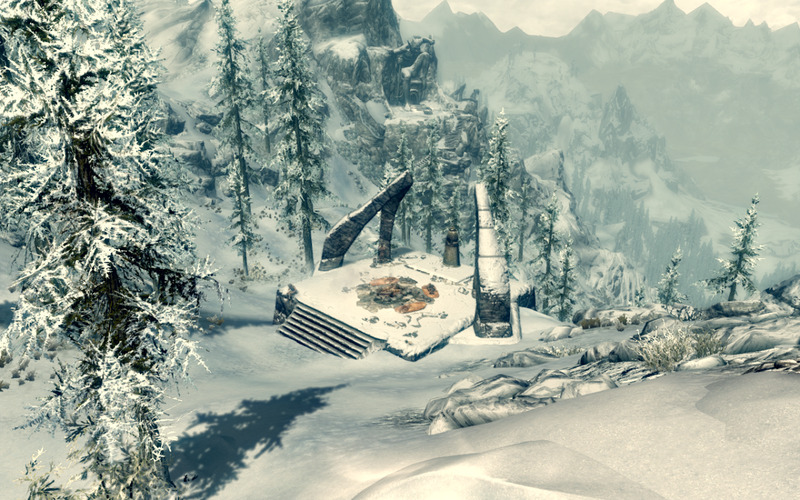 If you take my completionist advice above and start as a sneak-archer, you may also want to consider the thief stone. Start out however you think is best. You can always return to this location to change stones depending on what you are working on. 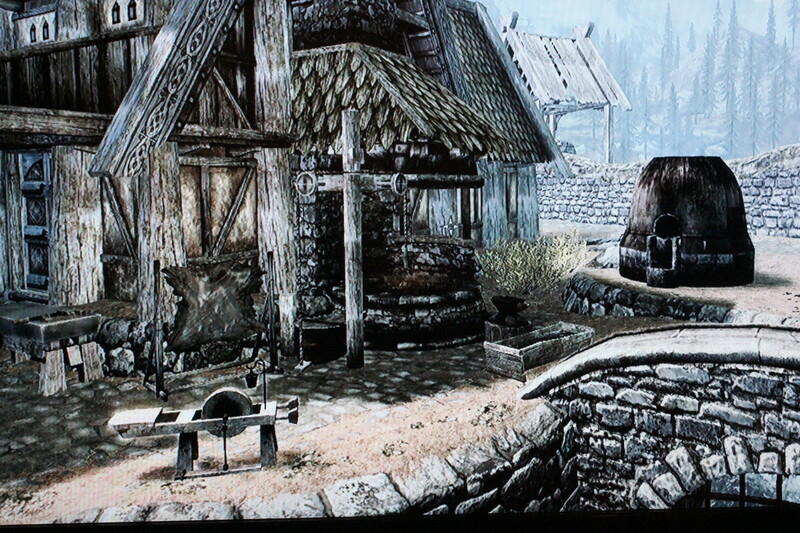 You can also switch out the stone as soon as you find another stone in Skyrim. Get to the point in which you have some shouts. They can help you out of tight spots. Furthermore, go through the main plot until you at least find the shout “Become Ethereal.” This shout will momentarily make you invincible. It is the single most useful shout in my opinion. You can use it in a tight spot; you can use it while sprinting to preserve stamina (which means you will not need to increase it) and best of all, you can use it to cliff dive. You simply use “Become Ethereal” before you make the jump (no shouting while in the air) and you will be perfectly safe when you hit the ground so long as the spell is still in effect. This will save you when running away and it makes transportation much simpler. Here's vicious, my monstrous wolf of a player character, while ephereal! 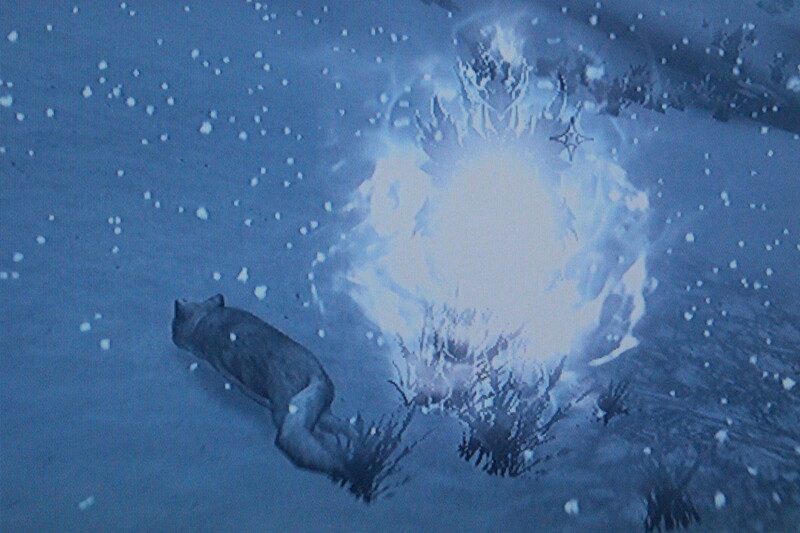 This is Vicious in a flame cloak while ethereal. Attacking while ethereal normally cancels it, but becoming ethereal does not cancel passive destruction spells. You can wreck enemies while completely invincible to them. Most followers are useful during combat, so you should consider keeping one around early-game. If you're smart, though, you'll get a spouse-follower, because they also confer benefits like 100 gold a day and experience bonuses. 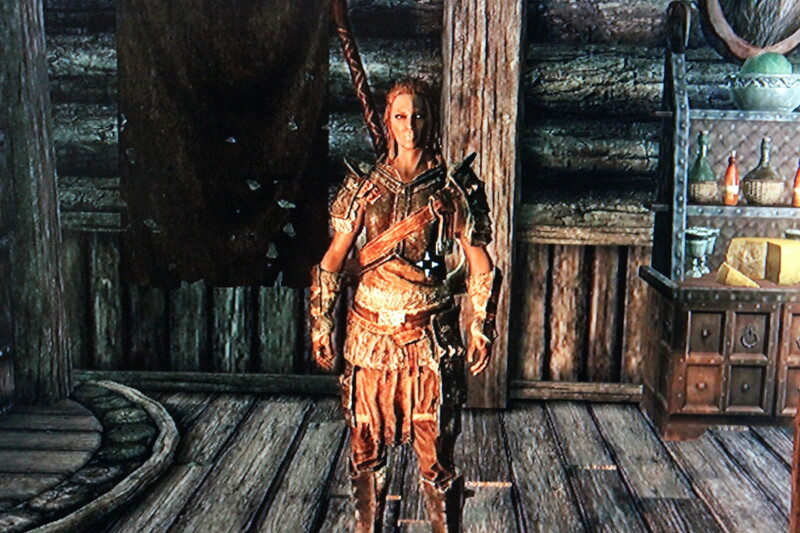 I personally believe Mjoll is the best, because she's invincible, and not even you can kill her. I know what you're thinking: "Marriage forever?" Don't worry; you can send her away at will. I've prepared a quick and dirty location article to help you find her, which may be found from my main article page or here. Passive abilities are especially useful because you do not need to remember to use them when the occasion arises. The most common passive abilities are obtained through perks, but there are some mission-related passive abilities as well. Just like with most games, you cannot take many hits right at the start. 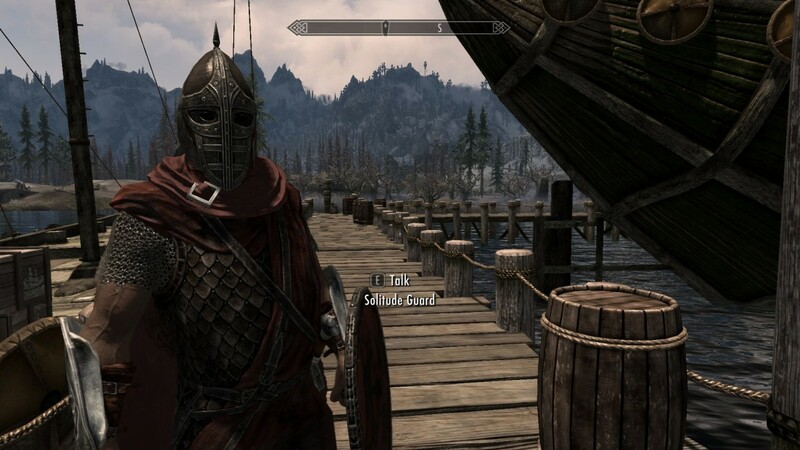 Skyrim is unique, however, because you can potentially play through the entire game this way, running whenever an enemy sees you. Even if you are a thief type, though, you will want to have a backup in case something finds and attacks you. I suggest at some point early in the game to pick an armor type and train it. I personally prefer heavy armor because after its perks are all filled out, it seems to be a bit better due to a damage reflection perk and a slightly higher damage threshold. Also, all of its negative qualities are done away with through perks. Do not fill out both armor perk trees until late game, because you should always think in terms of maximizing synergy, and there will likely always be a better option until late-game. 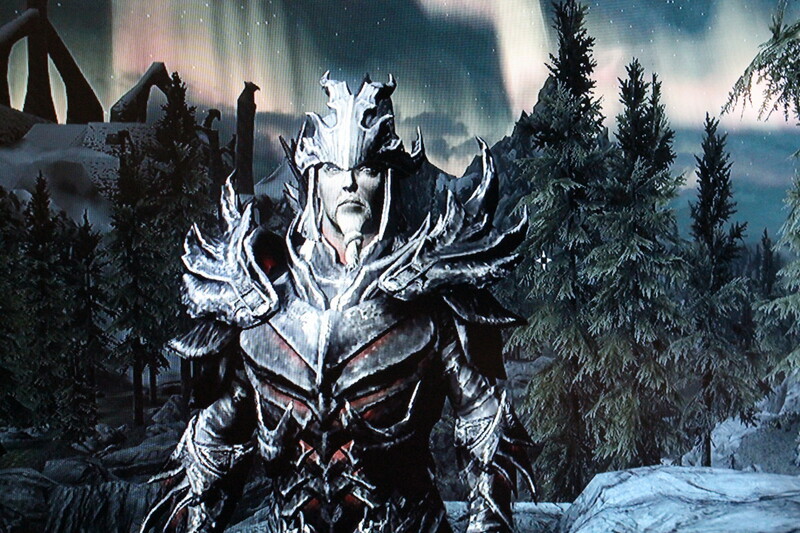 He's decked in a mix of Daedric and Dragon armors. You can also get ahead by training your smithing skill. This is most likely more beneficial than the armor skill because you have the benefit of not having to initially choose an armor type for synergy and can still have a decent defense. You may also build better weapons. 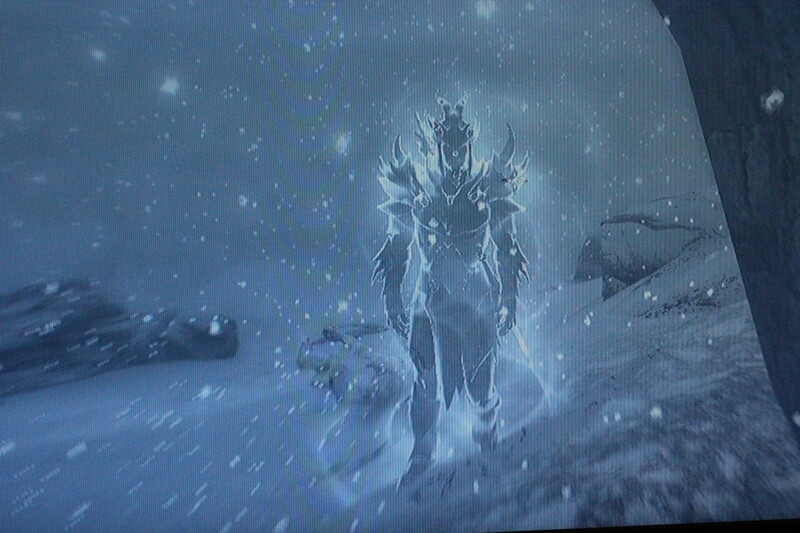 The downside is that there are decent light armors at the beginning of the game with factions like the dark brotherhood and thieves guild (another reason why I suggest sneak-archer). You cannot use smithing to improve these initially because they are magic and require a smithing perk to improve; they will be better than anything you can make early-game, and are light-armor. 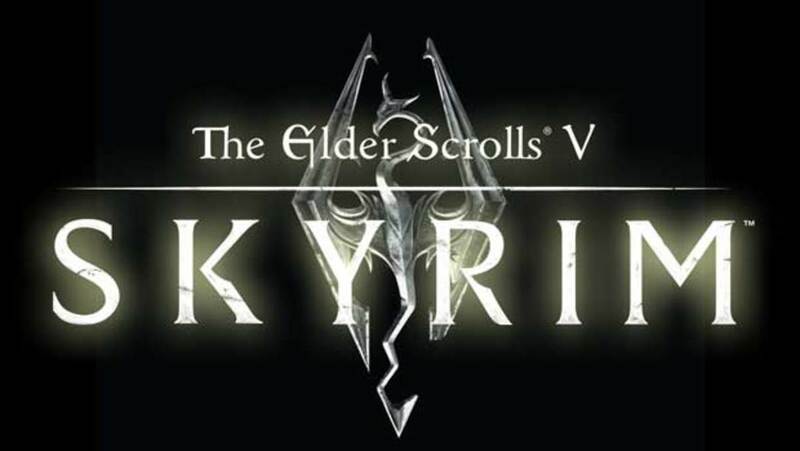 It's almost like Bethesda wants you to be a sneak-archer. The tools of the trade. Acclimate yourself with all tools pictured. If you max out Enchanting, you can do just about everything else with ease. I even have a complete armor set for smithing, that improves smithed weapons and apparel by 25 percent, per each of four items! Enchanting can give you the skill of a master archer while you've only reached archer skill 50. It can even allow you to heal by cutting your opponents! Enchanting is by far the best skill in the game, so take some time to train it. The only real downside is that you will need to find some equipment in order to train it. The upside is that you can train it in conjunction with smithing! Do yourself a favor, and read my article on training enchanting. Always carry a bow with you. Make sure to get in a sneak bonus, and you may even be able to pick off big baddies without being detected. When you're really in a rut, add some poison to that arrow tip, and get to a level advantage. 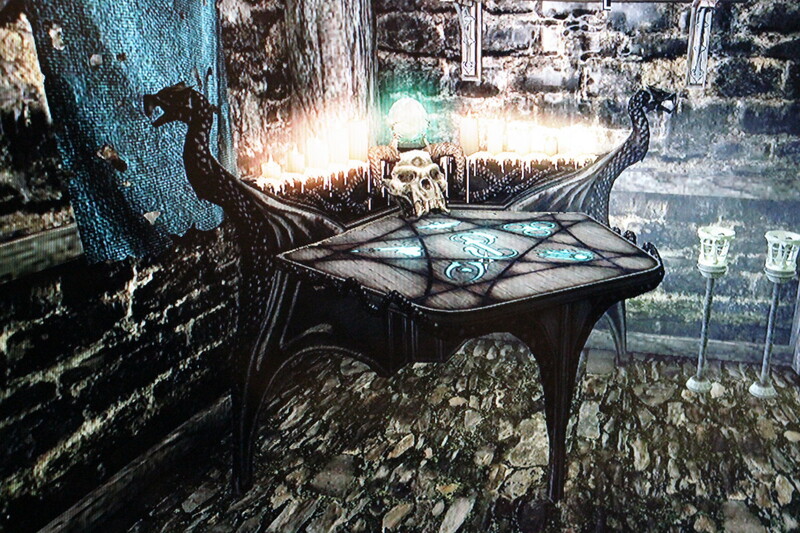 It will also be wise to conjure up a distraction, like a flame atronach. I hope my advice will be of some use. Avoid training skills too much; you still need to enjoy the game! If you do find yourself wanting to train some specific skills, please check out one of my many articles for guidance. Skill training guides will be uploaded when complete. 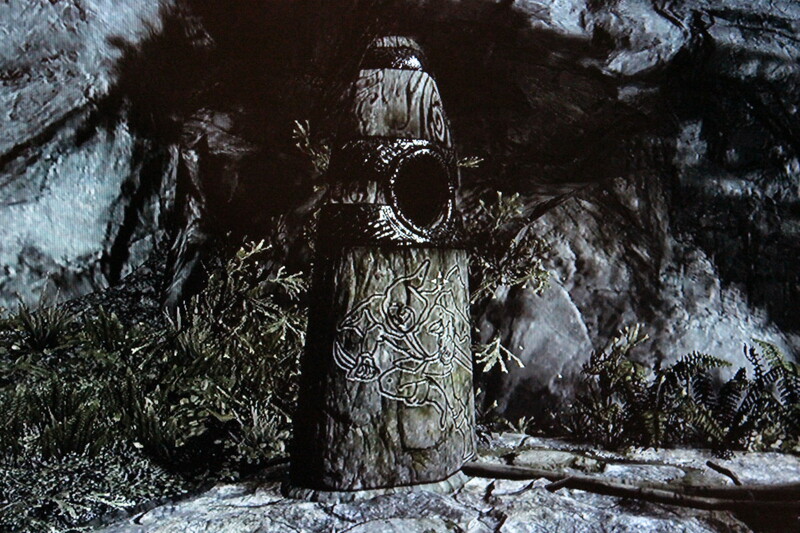 The Lord Stone - Standing Stone Primary Location - "The Elder Scrolls V: Skyrim"
The Ritual Stone - Standing Stone Primary Location - "The Elder Scrolls V: Skyrim"
Most help articles on the web are inaccurate or inteoerhnc. Not this! Love this, I think we have all made the mistake (especially) when we first start with a new elder scrolls to want to do EVERYTHING. It was only when I started my second play through as modest Orc, aching to break the Orcish stereotype of being a brute, and actually tapering my actions to fit in with a kind of character profile that I had in mind that I got the most satisfaction out of the experience. Very nice article. 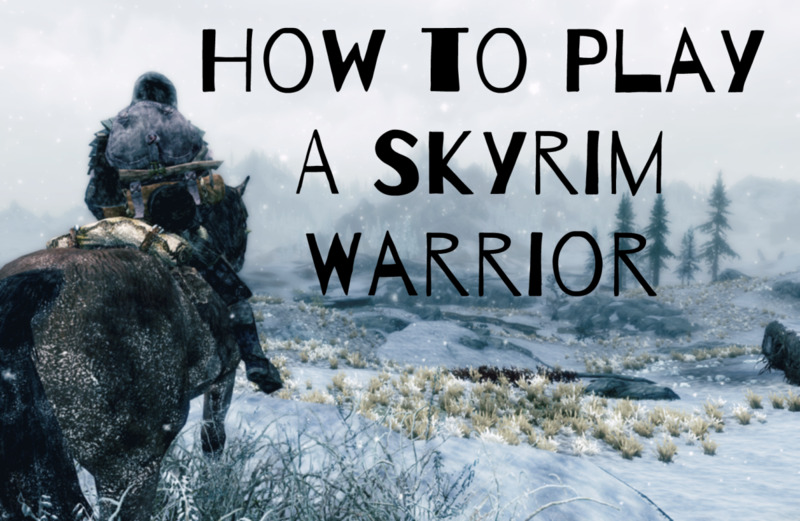 There are some great tips here for people just starting Skyrim. I personally learned most of them through trial and error. Had I read this before starting the game 8 months ago you would have saved me a lot of time! Voted up. Useful. Thank you, mattdigiulio. Not only did that just make my day but I have also now added the word compendium to my vocabulary! Hi there, this is an awesome compendium. 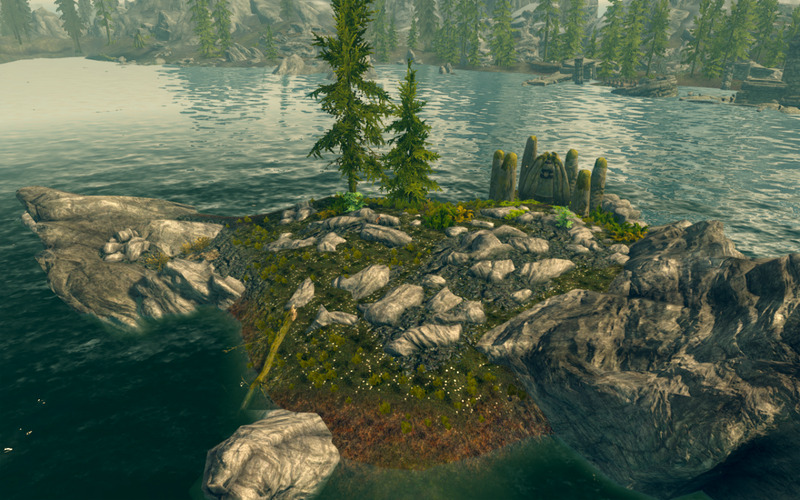 Voting up, love the Skyrim work. Keep it UP!